Professor John Norcini is awarded the 2014 Karolinska Institutet Prize for Research in Medical Education for his important contributions to research in medical education, especially his pioneering research on knowledge decay, specialty certification and the development of new methods of assessment. Professor Norcini, president of the Foundation for Advancement of International Medical Education and Research (FAIMER), located in Philadelphia in the US, will receive the award and a prize amount of €50,000 at a ceremony in Stockholm, Sweden, on 17 October. This international prize is awarded for outstanding research in medical education. The purpose of the prize is to recognise and stimulate high-quality research in the field and to promote long-term improvements of educational practices in medical training. "Medical" includes all education and training for any health science profession. The prize is made possible through financial support from the Gunnar Höglund and Anna-Stina Malmborg Foundation. It is currently awarded every second year. “Professor Norcini’s research output is consistently of the highest originality and quality, and his empirical work has improved the practice of medical education around the globe. His work has had a widespread, positive impact on the research and practice of medical education and has resulted in many subsequent studies by other researchers. He is one of the key contributors to the entire field of research in medical education,” says Professor Sari Ponzer, Chair of the Prize Committee. 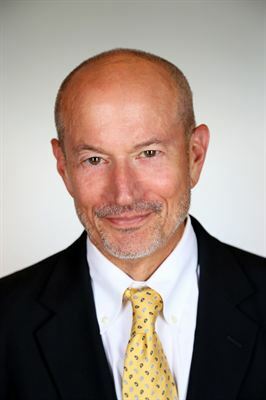 Professor Norcini has since the 1980s focused on the relationship between the assessments used in medical education and the outcomes of clinical care. He has been instrumental in developing new methods of assessment, such as the mini-clinical evaluation exercise (mini-CEX), and is also regarded as a world expert on methods of standard setting. “Assessment is vital throughout a person’s career, especially as they get further from their formal education. It’s essential to find ways of supporting doctors as they try to keep up with changes in medicine, which is the role of formative assessment, and of reassuring patients and society that doctors have been successful in this endeavour, which is the role of summative assessment. Regardless of whether it is formative or summative, when assessment is done poorly, it has serious consequences for students, practicing doctors, and patients,” says Professor Norcini. As part of his visit to Sweden, Professor Norcini will hold lectures at Lund University on 16 October and Karolinska Institutet on 17 October.